Thanks to a programme of product optimisation, resulting from a careful and meticulous client feedback process, the 1980s and 1990s witnessed the development, by the Officina Meccanica Bolondi Ivano, of a large number of technical innovations in the washing head production sector. A comprehensive range of low and high-pressure products designed to meet the needs of firms looking for products that are perfectly suited for sanitising and cleaning, from the smallest of containers to the largest of spaces. Particular care and attention has been devoted to the aspects of integration with industrial systems and machines, above all in the food, pharmaceutical, chemical, wine producing, transportation sectors, and in the urban and building cleaning industry, by using materials that are compatible with a large variety of products. It is impossible to overlook the detailed finishing touches that are applied to each and every aspect, hallmarks of truly innovative designs, and that are veritable technological treasures in each of the individual components. General Pump, along with our parent company, Interpump Group S.r.l., has been the world leader in plunger pump development since 1982. 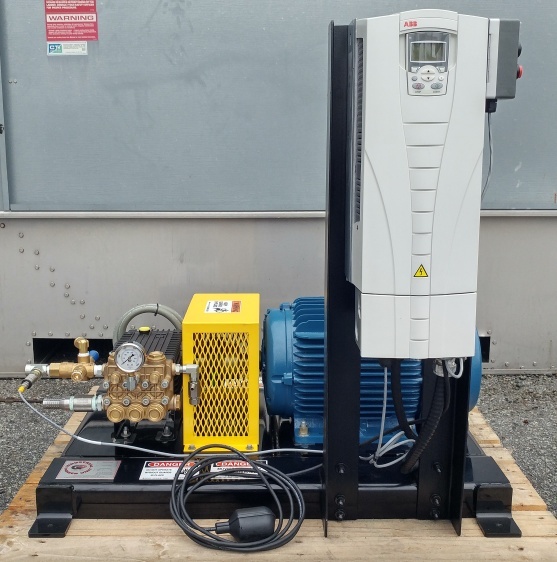 We are known as the leader in plunger pumps for the pressure cleaning industry, and offer a full line of pumps for other industries across the board, including Vehicle Wash, Sewer Jetting, Oil and Gas, Mining, Misting and many more. Always striving to serve our customers better, General Pump’s 54,000 square foot headquarters in Minnesota houses a large distribution center along with a manufacturing facility to provide excellence in service and technology. General Pump also maintains an office location and manufacturing facility in Ningbo,China. Alkota got its start all the way back in 1964 building steam cleaners in a converted creamery in Alcester, South Dakota; the small rural town we still call home. In fact our very name is an homage to our hometown; Al- for Alcester and -kota for South Dakota. When a competing company in Vermillion sold to an outside bidder in 1983, seven of its key employees came together to purchase Alkota Manufacturing. The investors had a common business philosophy: treat your customers right, treat your employees right, and the rest will follow. That is still the philosophy the company goes by today. While several of the owners have passed on or retired from the business, three of the seven remain involved to this day. In fact, a good many of our crew have been with us more than twenty years, some over thirty years — and yes, even a few of us have been around for more than four decades. With this many years of experience, our engineers and craftsmen know the industry and what it takes to deliver the perfect product for any application. Our standard models have earned a reputation for durability and ease of maintenance, and our creative engineering staff have distinguished us as the leader in custom-designed pressure washers for unique applications. Over the years, Alkota has developed and perfected technology that combines higher pressures, higher volumes and higher temperatures resulting in an excellent balance between performance and efficiency. We have worked to develop practices that are now becoming industry standards, such as the use of different types of electric motors, better coils, improved designs in pumps and accessories, as well as partnering with Wayne Combustion to make oil burners more user-friendly and efficient. Today Alkota has a diverse line of products and a worldwide distributor base. We offer these distributors continued education on our products and personal support for any issues that arise. But that's because everything we do starts with the devotion and care of our people; masters of the trade with an unrivaled ability to solve problems and custom-build solutions as durable as the commitment they bring to work every day. When you take an Alkota pressure washer to work, you take more wisdom, know-how and back-up than any other equipment in the business. 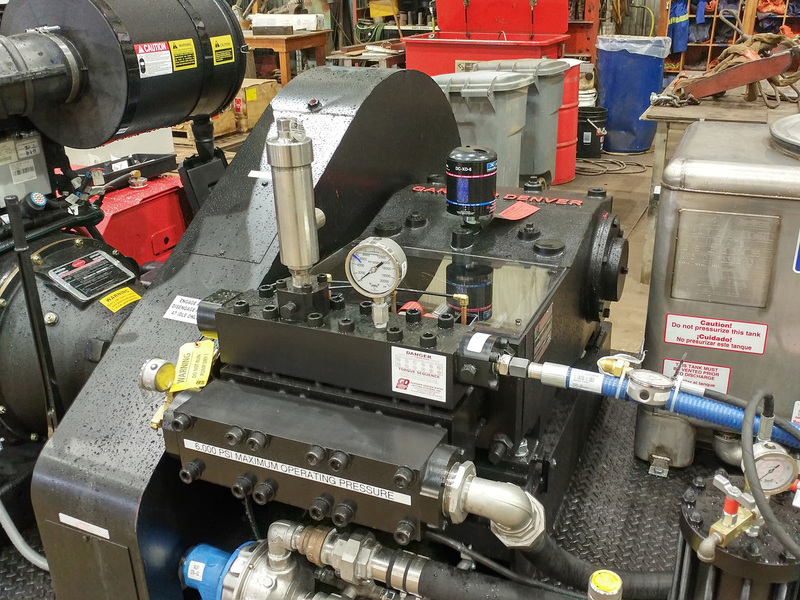 For over a century Gardner Denver has been building a reputation as the leader in pump innovation and reliability. Our water jetting division continues this tradition of excellence by building the absolute best high pressure pumps on the market today. 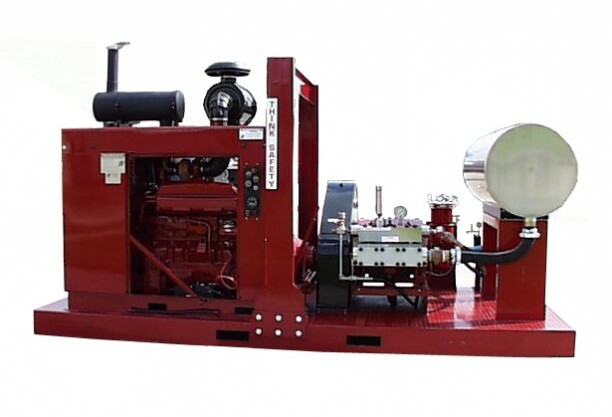 We use those industry leading high pressure water pumps as the basis for our rugged water blasting units. The ES2010VFD is a variable speed multi shut-off gun cleaning system. There is a transducer on the manifold that will turn the system on after being powered up. As soon as the gun trigger is pulled the system will start and run. If only one gun is being used the system will only run the speed needed for that one gun and then when the second trigger is pulled the system will speed up for the other gun. Welcome to an aggressive new world of detergents - Hydrus. Formulated in reverse, our products were born from tireless exploration of your most demanding environments. We spent years studying how your work with your equipment, what you expect of it, and ultimately, how your equipment works for you. Along the way, we opened the doors to new ideas. We took your most crucial needs and transformed them into a powerful, precise line of detergents that protect your equipment investment and shine through the most extreme cleaning projects. Hydrus. Developed with you, for you. The BEST Quality Control in the industry. Complete line of environmentally friendly products that produce excellent results. Complete line of Super Concentrate products and options. Exclusive surfactant package for superior cleaning results. Scale Stop package that promotes longer equipment life. Private label detergents custom formulated to exceed the needs of your customer. Registration for all products for emergency exposure and spill situations. Dean’s products are second to none!